The first match practice of the year saw 8 members take to the courts. 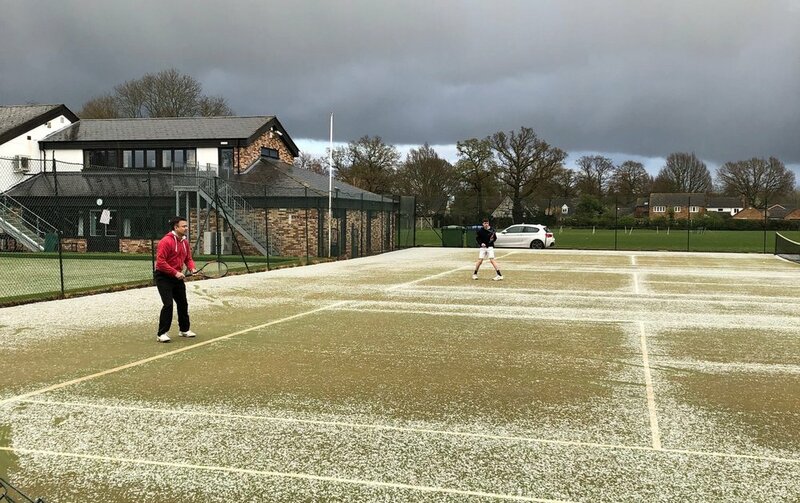 Unfortunately the dark clouds produced their worst and after 10 minutes play the courts were white with hale-stones. Thankfully this only lasted 5 minutes and 4 harder get soles went back out to play. The quality of our courts and the refurbishment they have just had means that they were able to play straight away. Hopefully this is the last of the winter weather and we get some great tennis this season.